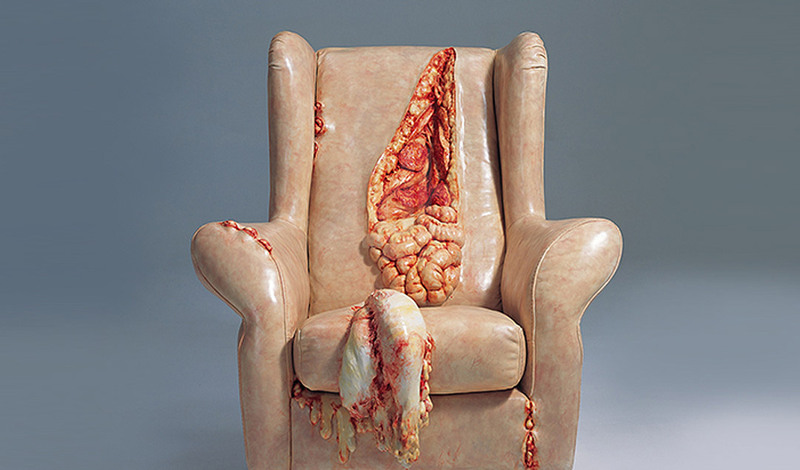 Well this is quite nice, in a Camp Crystal Lake way. 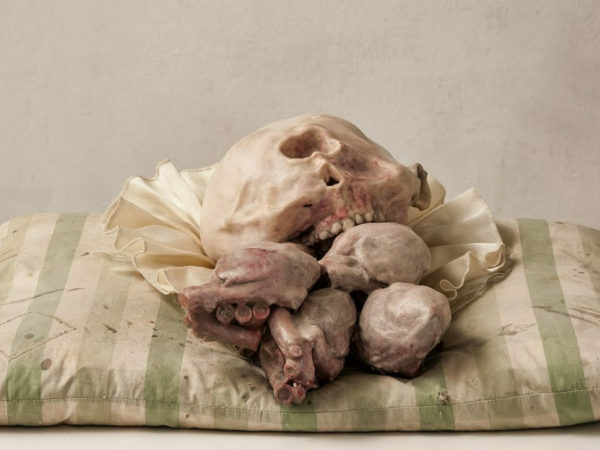 Chinese artist Cao Hui has created incredibly realistic and grotesque sculptures that will make you look twice and wish you wake up soon. 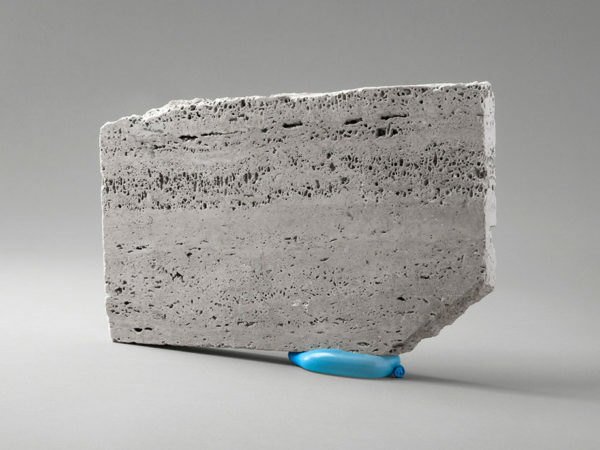 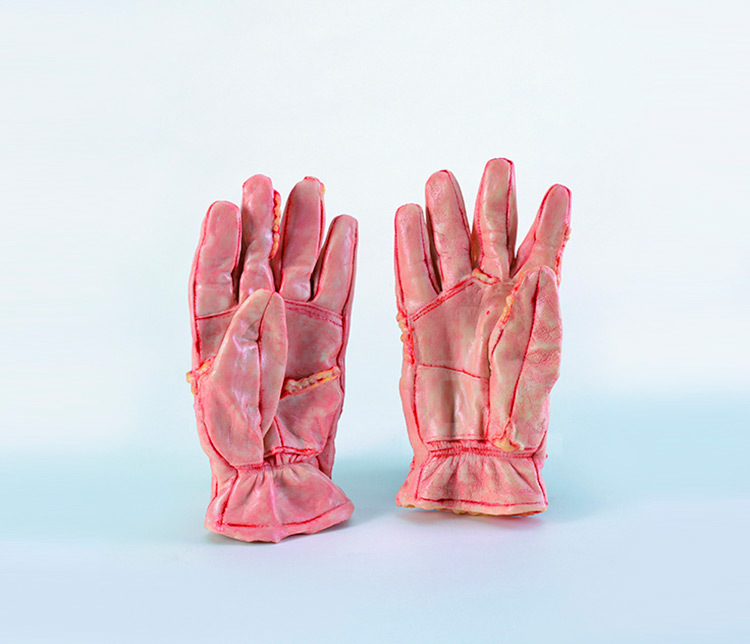 The Visual Temperature -sculpture series depicts selected familiar everyday objects in totally different light. 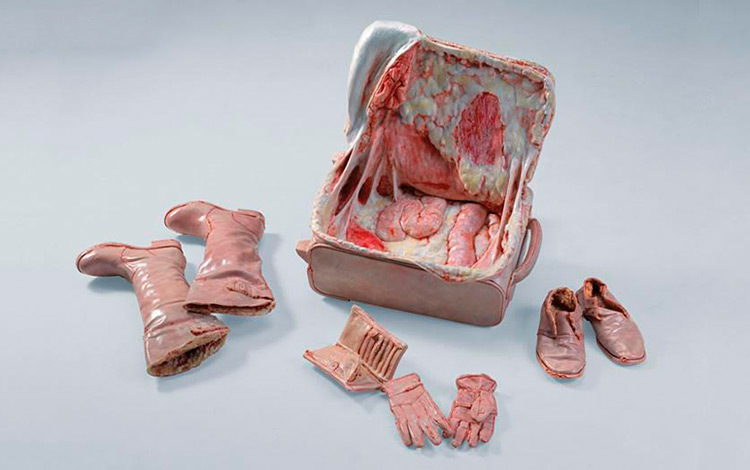 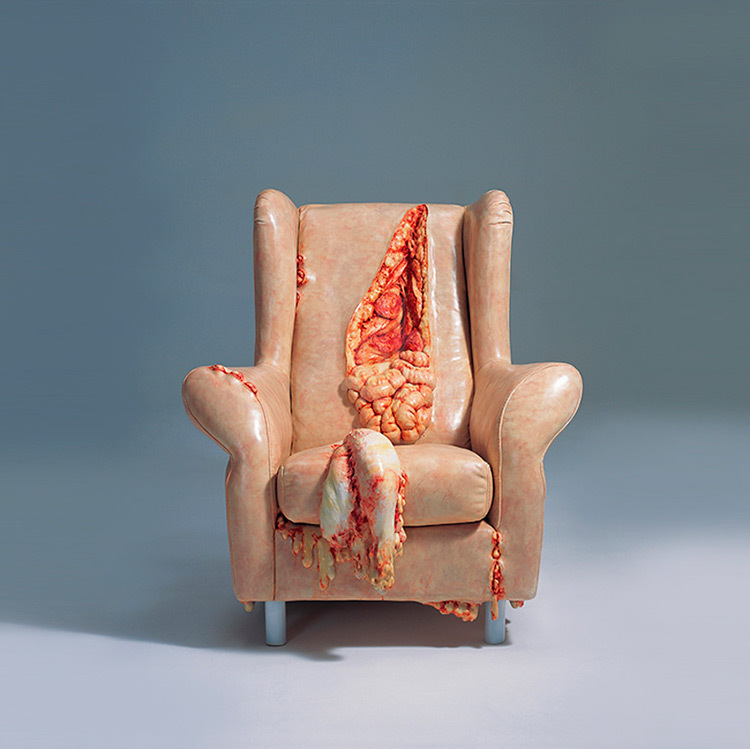 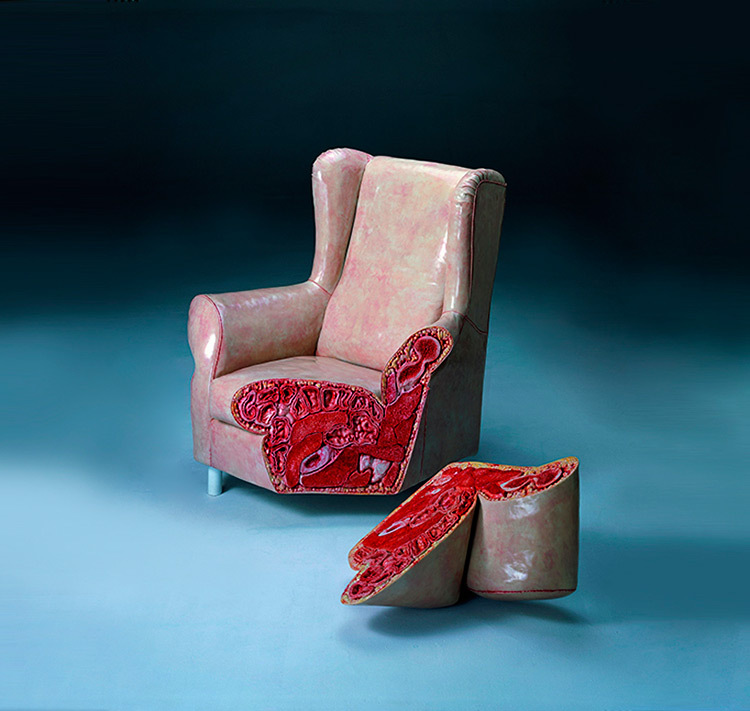 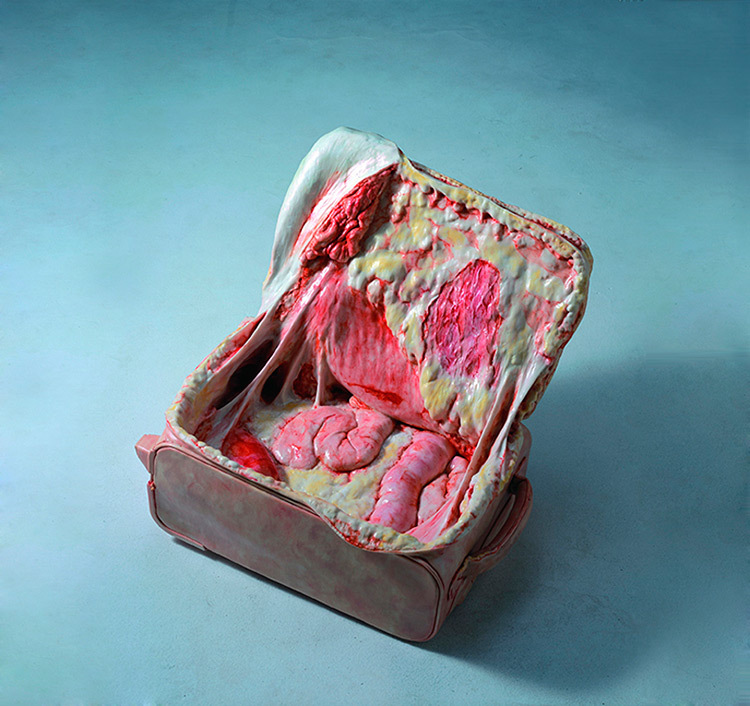 The series includes an armchair, a couch, a suitcase and punch of wearables like a jacket, gloves and shoes rendered as skin, intestines, fat tissue and flesh, all hanging, drooping and bulging out. 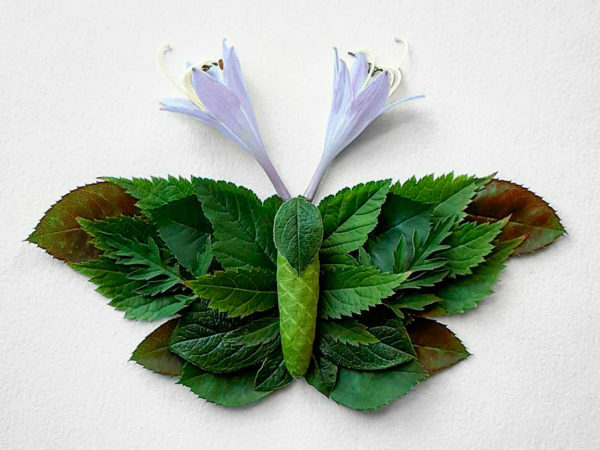 After seeing these, I wonder how he sees God? 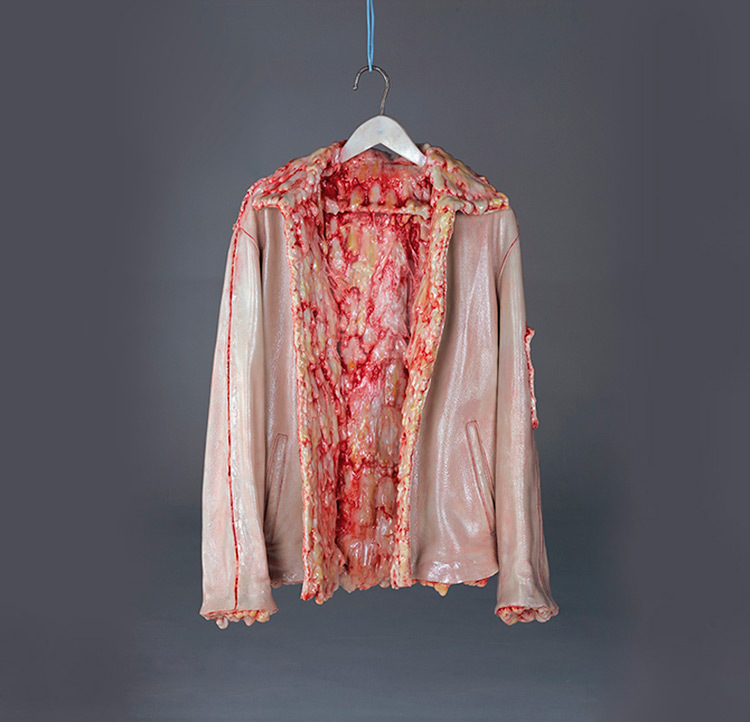 Nonetheless, the outcome is gruesomely stunning line of influential pieces, created by using mixed materials including resin and fiber.